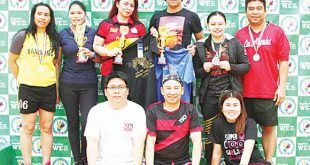 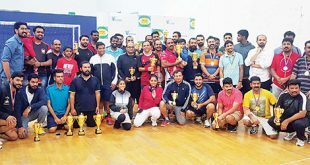 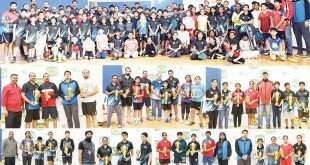 The Filipino Badminton Committee in Kuwait (FBC) opened its 91st regular tournament dubbed “Winter Cup” on Friday at the Kuwait Disabled Sports Club in Hawally with a number of exciting and powerpacked matches that included veteran and amateur players in various categories. 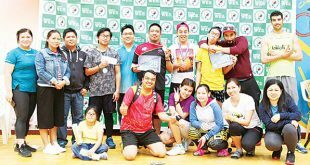 Meanwhile, FBC simultaneously held on Friday the Winner-Take-All for Pro/Advance. 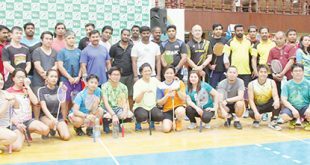 FBC is inviting all badminton enthusiasts to join every Friday in the regular tournament from 8 am to 1 pm that includes the Winner-Take-All one day tournament. 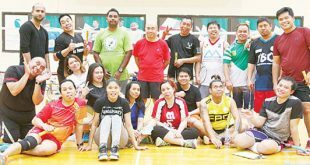 On the other hand, FBC Singles and adults/kids badminton coaching/tutorial and court rental are from 2 pm to 5 pm.